Many organisations invest heavily in their people. Gwyder Consulting knows how to unlock the full potential of people and maximise the return delivered from these investments. In our experience, less than 10% of an organisation’s training and development offerings are applied on the job. We unlock the remaining 90%. We challenge people to be their best. Executive coaching is designed to assist executives in developing and enhancing professional effectiveness and on-the-job performance. Gwyder Consulting’s services are designed to unlock workforce potential and create an environment where change is attainable. We utilise the Stakeholder Centered Coaching process to guarantee measurable leadership growth and behavioural change. A comprehensive study among 11,000 business leaders in 8 multinational companies on 4 continents concluded that 95% of leaders who consistently applied the Stakeholder Centered Coaching process measurably improved their leadership effectiveness. This study is described ‘Leadership is a contact sport’ by Marshall Goldsmith. Stakeholder Centered Coaching does not require any ‘extra valuable time’ from busy business executives as the coaching and leadership change process is integrated in his/her leadership role on the job. Gwyder Consulting Group offers an Executive Leadership Development Program in a “Multi-Organisation” format. To ensure an even greater depth of learning and experience, we have developed the concept of “Multi-Organisation” group programs, which bring together high potential executives from different organisations to participate in the Executive Leadership Development Program process. This environment exposes program participants to a broader range of views and experiences, an understanding of leadership issues and opportunities in organisations other than their own, and a pool of executives from different industries with whom to network. Gwyder Consulting Group offers executives a personally tailored career transition and development service based on over 10 years’ Australian research and experience, and drawing on international best practice. We gear our executive transition and development coaching solely towards what each executive requires, and our budget to what the organisation is comfortable sponsoring. This places the full value of our input to where it is needed most – a new paradigm in executive career transition and development services compared to the bundled impersonal, costly approach which outplacement consultants seek to provide in stereotype. Indeed, while some organisations have contracts with outplacement organisations, it is important to remember that for a variety of reasons many executives are not suited to what often turns out to be a production line mass market approach. At Gwyder Consulting Group we only offer a personalised supportive approach tailored to the needs of the individual and comprising core executive transition and development coaching. This process utilises cutting-edge support and development techniques in the organisational environment. Delivered by successful, credible and experienced executives, who understand what it takes to lead in modern organisations successfully, having done so themselves, and who are able to build a strong rapport and empathy with your executives and your organisation. Superior Team Performance Coaching combines group coaching, one-on-one coaching, pre-reading and work-based assignment elements to expose management and executive teams to best practice, and contemporary team concepts in a simplified, pragmatic and practical manner. The emphasis being on helping teams to “get the rubber hitting the road” in terms of superior team performance as a group, and optimising the individual performance of team members. Our research indicates that the executives who are regarded as the most successful leaders in today’s complex environment are those who are able to bring the best out of people throughout their organisations. They achieve this by regularly employing coaching skills in their work with their direct reports and actively encouraging their direct reports to do the same with their staff. This creates a powerful cascading effect throughout the organisation which results in a positive, energised environment, where people are constantly developing, they feel safe to try new things, and really strive to be their best. 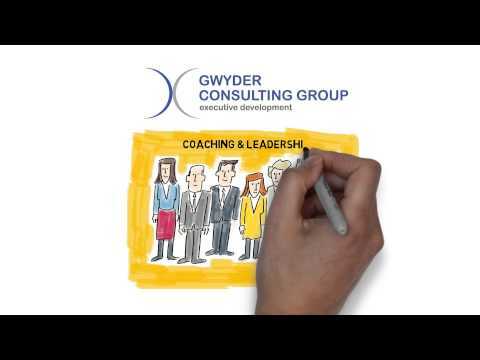 At Gwyder Consulting, we have developed a process that enables executives to learn the key skills they need to successfully coach their staff, implement them with the support of their own experienced coach, and sustain these behaviours for the long term to drive superior performance in their organisations. Our Coaching for Superior Results (CSR) process utilises cutting-edge leadership support and development techniques, delivered by successful, credible and experienced executives. Our people understand what it takes to lead in modern organisations successfully, having done so themselves, and are able to build a strong rapport and empathy with your executives and your organisation. These programs can be tailored specifically to any situation. We offer our clients a Performance Guarantee that allows for a full or partial refund (client decides) of any professional fees, should they feel that we have not used our reasonable endeavours to add value to their business or deliver the assignment as agreed. We also offer a Service Warranty that allows up to 12 months of support from the conclusion of an assignment on any matter related to it – at no additional cost. The Service Warranty takes the form of 3 – 4 one-on-one review coaching seessions over the 12 month period. To help you understand how our executive leadership programs empowers individuals or your executive team, we have produced a report entitled “The Secrets of Effective Leadership,” which can be downloaded here. We are also available to meet with entrepreneurs, executives and emerging leaders, to discuss the specific challenges they face in achieving their career or organisational goals. Simply call 0419 475 089 or leave a message with Kerry Little, our Principal Executive Coach, and he will answer any questions you have about our executive leadership training programs, and how they empower your leaders, to enable your organisation to more profitably achieve its goals.